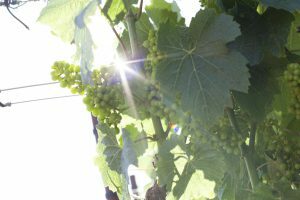 (Sun Chase) – The Northwest corner of Sonoma County provides a cool maritime climate resulting in an ideal location for Pinot Noir. The hillsides of Sun Chase sit 1,400 feet above the valley floor and receive ample sunlight. Balanced fruit, minerality and a lasting finish are hallmarks of this rich Pinot Noir. TASTING NOTES: Balanced fruit, minerality and a lasting finish are hallmarks of this rich Pinot Noir. Beautiful floral mix of rose petal and violet on the nose followed intricately by juicy, subtle red fruit and balanced acidity/minerality. Decadent “burgundian” style Pinot Noir from one of CA’s finest vineyards.